Summer is the perfect time to enjoy the bountiful harvest of strawberries with cream ! And this very special combo reflects that, without the concern for calories. 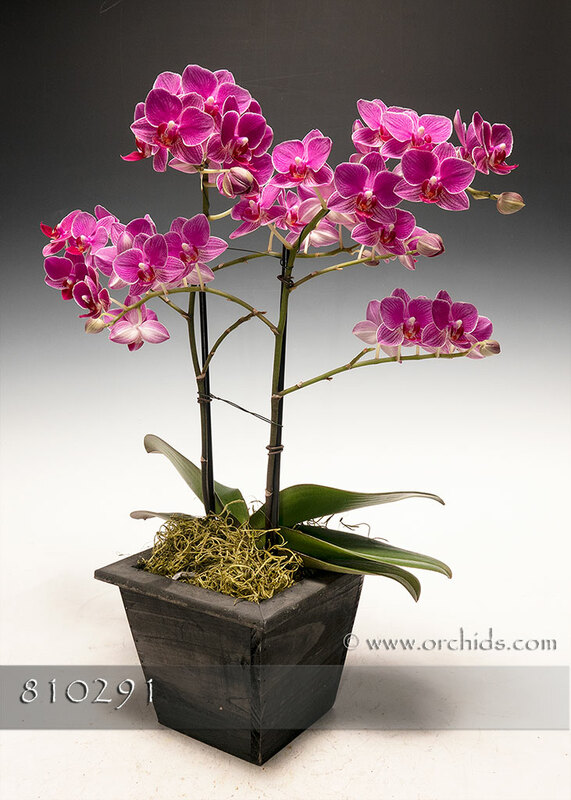 Our designers will create this Combo with two of our most floriferous orchids, the rich pink orchid bearing a white lip and narrow picotee to complement its white cousin. Norman’s designers will arrange this Gift for its perfect presentation, accenting the flower spikes with faux vines. Standing 18-20” in height, your Gift Arrangement will arrive tucked into our square Euro cachepot, perfectly finished with a fluffy bed of jade Spanish moss.